Certified organic couscous originally made in Gaza. Zaytoun’s Maftoul Couscous is large-grain, wholewheat, hand rolled and sundried, with a distinctive nutty flavour. As exports from Gaza aren’t currently possible, this delicious Fair Trade couscous is now made by a co-op called the ‘Women’s Cooperative for Couscous Production’ located in Ein Al Sultan Refugee camp in Jericho. 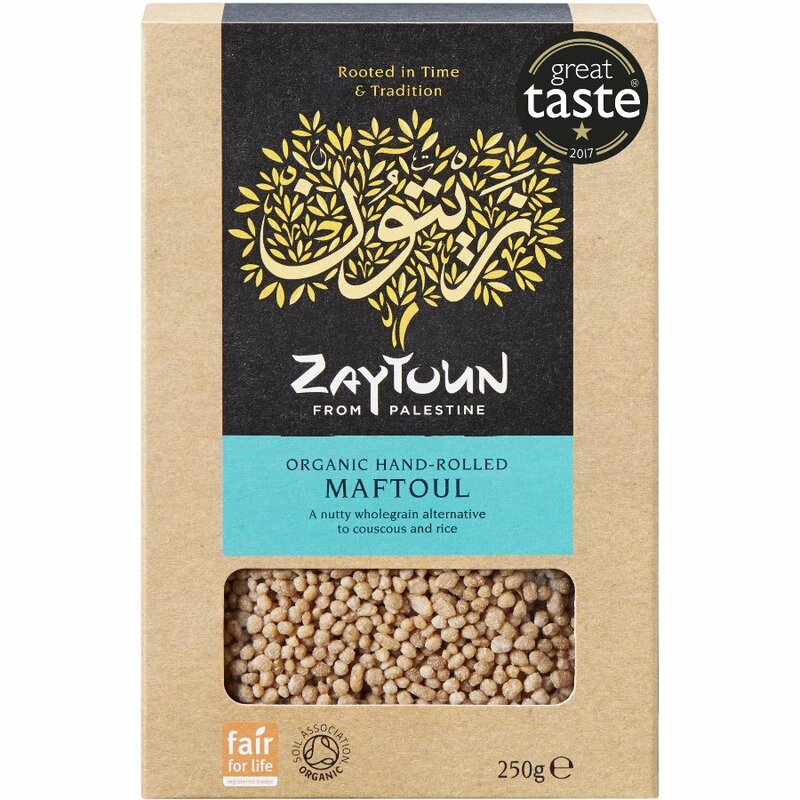 The Zaytoun Palestinian Hand-Rolled Maftoul Couscous - 250g product ethics are indicated below. To learn more about these product ethics and to see related products, follow the links below. 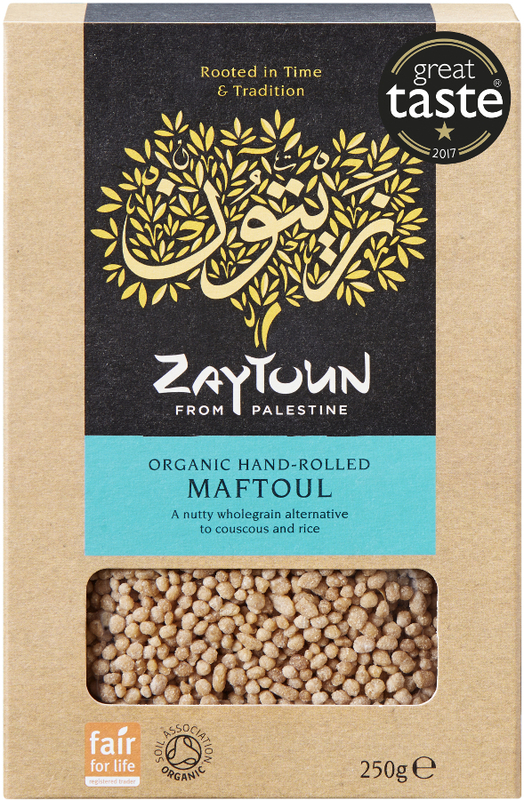 There are currently no questions to display about Zaytoun Palestinian Hand-Rolled Maftoul Couscous - 250g.